The Royal Danish Ballet’s recent performance of “A Folk Tale,” which ended a four week run at the Copenhagen Opera House on April 8th, is a classic Bournonville ballet that included several new interpretations and visual elements. 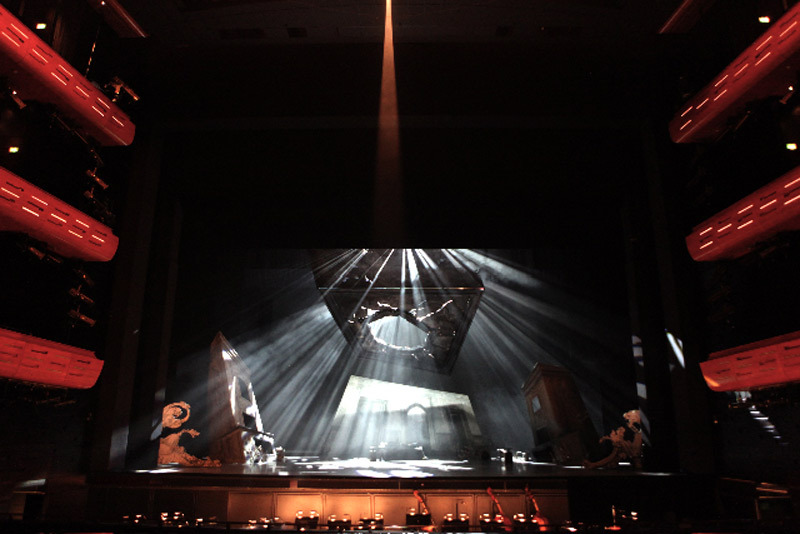 Part of that new look included lighting effects from Martin Professional MAC III Performance luminaires under the command of lighting designer and programmer Mikki Kunttu. The MAC III Performances were supplied to the Royal Danish Ballet for “A Folk Tale” by Nordic Rentals. Capable of punching out over 33,000 lumens of power with a unique fat beam look, the MAC III Performance also features an interleaved framing system with full crossover of each blade and an 11.5 to 55 degree zoom range, as well as a host of other innovative features like silent operation, something not lost on Kunttu. “The brightness is exceptional and the optics are very good, but for years moving lights have been advertised as ‘silent’ and for me the MAC III is the first fixture that really delivers silence outside of the brochure and sales talks,” he states. “At the moment I'm using them in Philadelphia with the Pennsylvania Ballet and Philadelphia Orchestra. The fixtures hang 7 meters straight above the orchestra and they add no noise whatsoever.” Kunttu recognizes Anders Poll at the Royal Danish Ballet for his support as well as his assistant, Joonas Tikkanen.